I am an urban geographer with a research focus that combines urban theory, political economy, and science and technology studies (STS) to understand changing urban mobility infrastructures. With the support of a Scholars grant from the National Science Foundation's Science, Technology, and Society Program, I am conducting a comparative research on bikeshare system design, gentrification, and questions of infrastructural justice in Oakland, Philadelphia, and Austin. This is part of a longer-term focus on the transformation of mobility in unequal cities, the circulation of models of infrastructural change, and the emerging intersection between urban infrastructure planning and platform capitalism. As a research associate at the Sustainable Consumption Institute at the University of Manchester, I am working on a project assessing the spread of digital mobility platforms (Uber, Mobike, Chariot, etc.) at a global scale and identifying key case studies for future research. 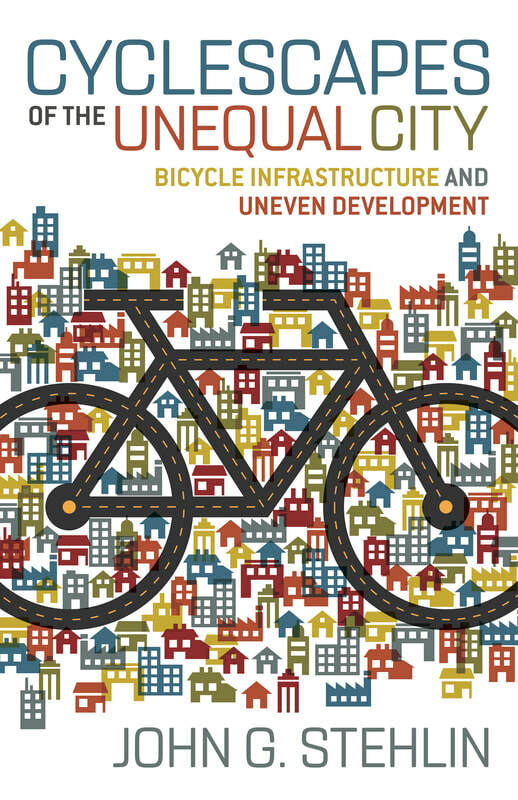 My forthcoming book, Cyclescapes of the Unequal City: Bicycle Infrastructure and Uneven Development with the University of Minnesota Press, examines the prominence of bicycle infrastructure in both progressive and elite visions for the 21st century “green” city. I argue that bicycling, particularly in North America, emerged politically in conjunction with gentrification and the regional restructuring of housing and employment, and has become a favored infrastructural solution for cities pursuing sustainable development with limited public funds. The result is an uneven patchwork of expensive, bike-friendly neighborhoods and increasingly working class suburban areas that remain car-dependent. This book is based on my dissertation and post-doctoral research at Berkeley, which was inspired by my experiences working as a bicycle mechanic at a shop serving a culturally and economically diverse world of cyclists at a time that the public image of cycling was increasingly white and middle class. My future research interests consist of two related threads. One focuses on the institutional networks that circulate urban infrastructural expertise between cities across the globe. I am especially interested in how knowledge generated primarily in gentrifying American cities has turned outward, with organizations like National Association of City Transportation Officials developing global standards and translocal partnerships around redesigning urban streets. The second thread centers on the affective politics of race, infrastructure, and territorial stigmatization. I am especially interested in efforts across the world to heal the scars created by urban freeways, which often draw on racialized histories of infrastructural violence for support, but at a different moment characterized by intense demand for developable space in central cities and rising displacement pressure. Meanwhile, territorial stigma, particularly through the prism of environmental politics, now adheres to increasingly diverse, automobile-dependent suburbs.